Today we got a glimpse at how the other 2% lives. 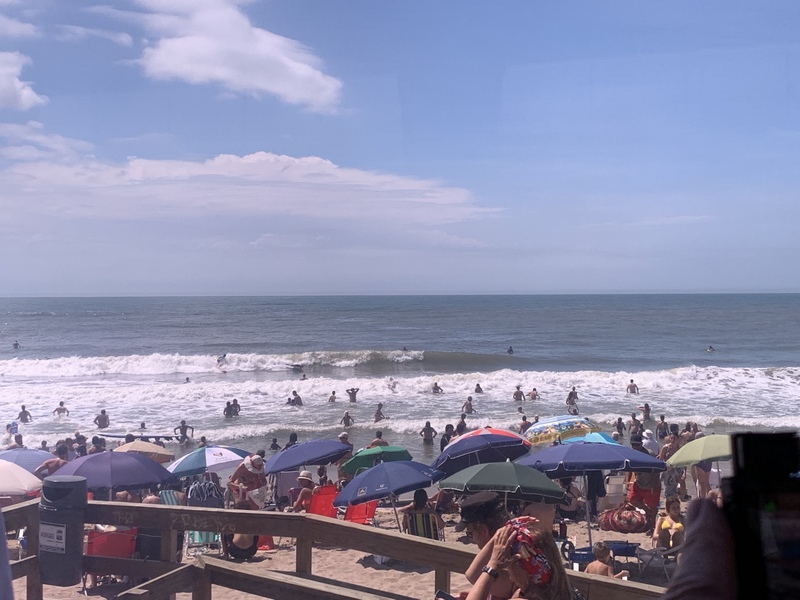 Punta del Este is a glamorous seaside resort often compared to St. Tropez. From its origin as a fishing village, the area has grown into the site of high-rise hotels and apartment buildings, and of luxurious mansions overlooking miles of sandy beaches, gardens, and groves of pine, eucalyptus, and acacia trees. The area draws the rich and famous for 2 months of the year. The other 10 months, according to our guide, the place is like a ghost town. The year-round population of the town is 10,000, but during the summer that number soars to half a million. The area is also an art lover’s dream, with many galleries and museums. 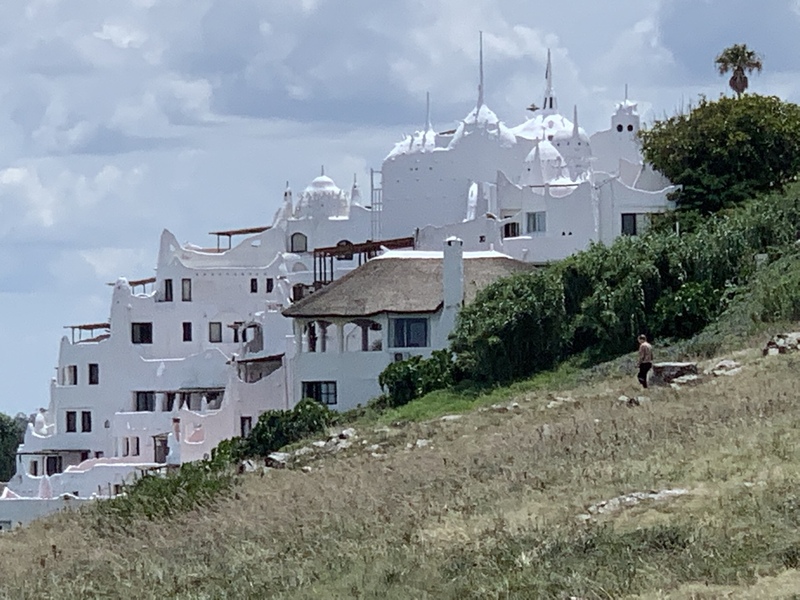 One example is Casapueblo, the gleaming white building built over a period of 30 years by Uruguayan sculptor and painter Carlos Páez Vilaró. The building is now a museum. 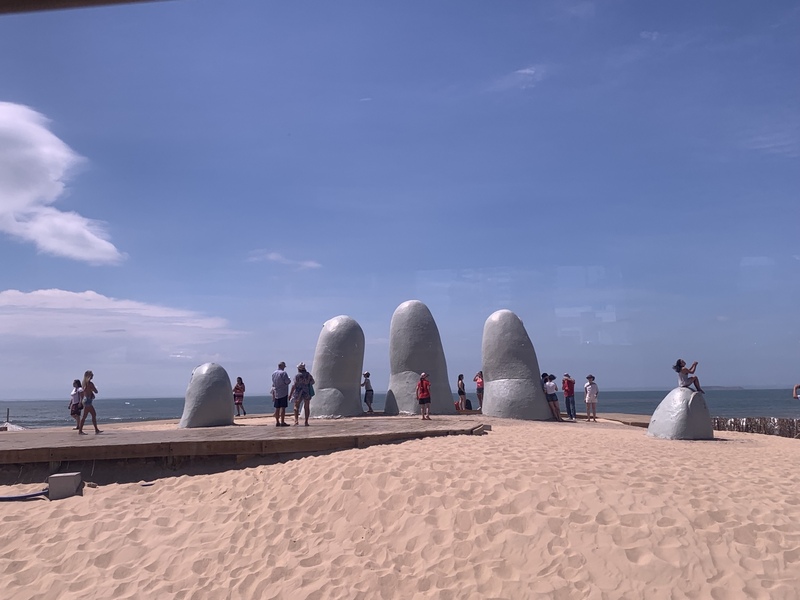 Perhaps the most famous icon of Punta del Este is La Mano (The Hand) sculpture on a beach by Chilean artist Mario Irarrázabal. 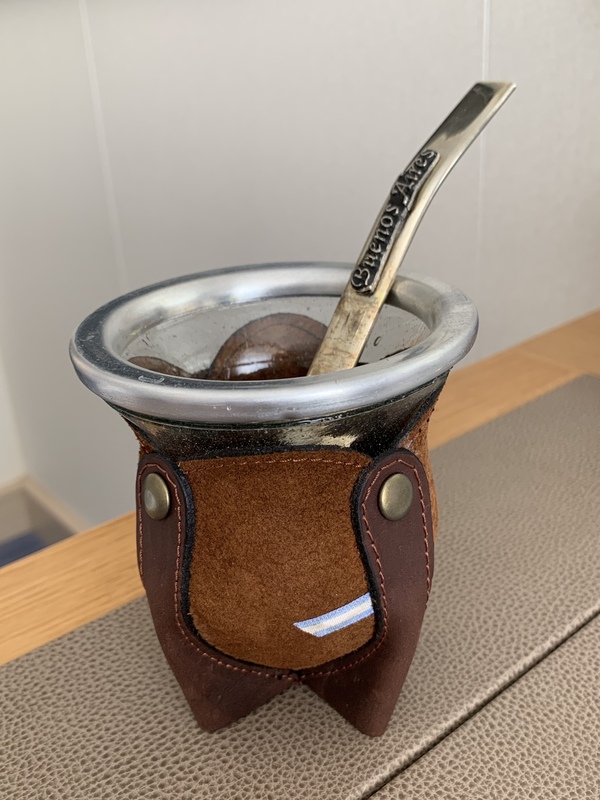 Another iconic sight of in southern Brazil, Uruguay, and Argentina is people drinking mate (pronounced MAH-tey), a kind of tea that is prepared and served in a special cup. Our guides also emphasized that mate is as much a social ritual as it is a beverage. 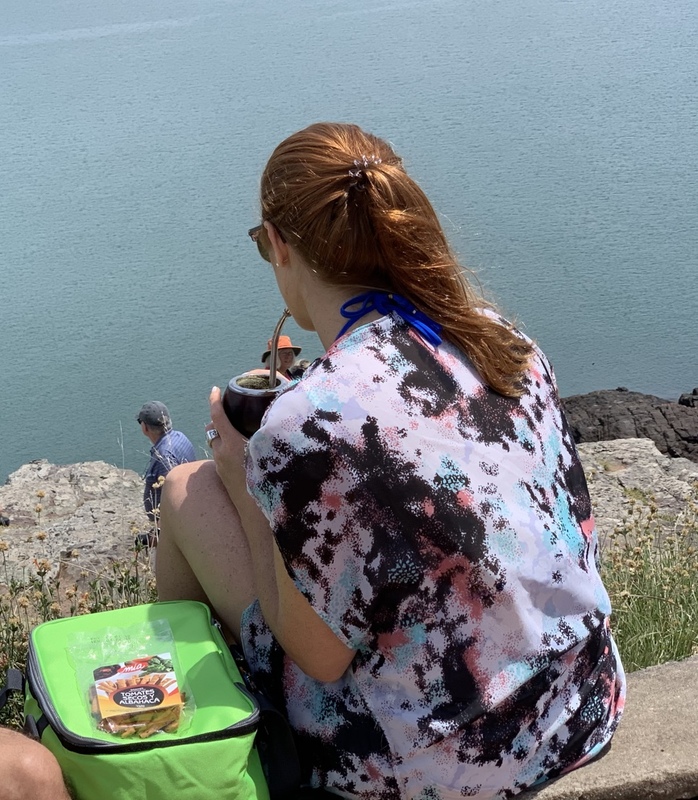 When people invite others to have some mate, they’re really inviting their friends to sit around and visit while simultaneously sipping mate.